For the first and only time this year, the Giro crosses on to foreign soil, passing over the border into Switzerland for a stage finish in Lugano. The city is described as the ‘Monte Carlo of Switzerland’ thanks to its growing reputation as home of the rich and the famous, including former world and Olympic champion Nicole Cooke. “Brotherly love, 500 years of democracy and peace, and what did that produce? The cuckoo clock!” Although Orson Welles’s famous quip about Switzerland may not actually be true, the Giro’s brief visit to the land of The Sound of Music and dodgy bank accounts will do little to alter the perception that this is a country where nothing interesting happens. 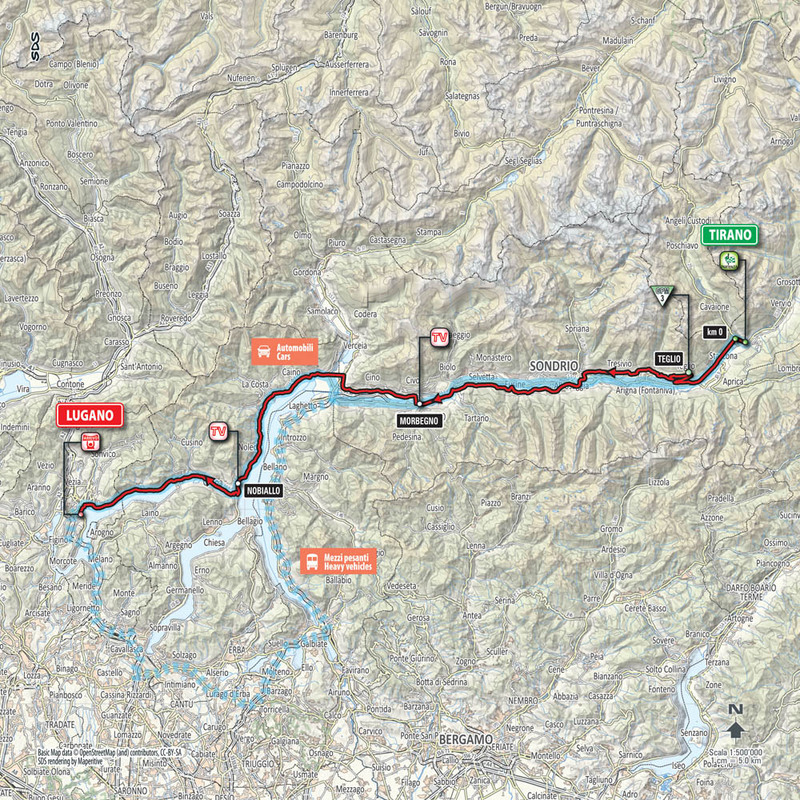 Not only is this stage a mere 136km long, it is the perhaps the only 136km in the whole area that manages to dodge all of the surrounding mountains. 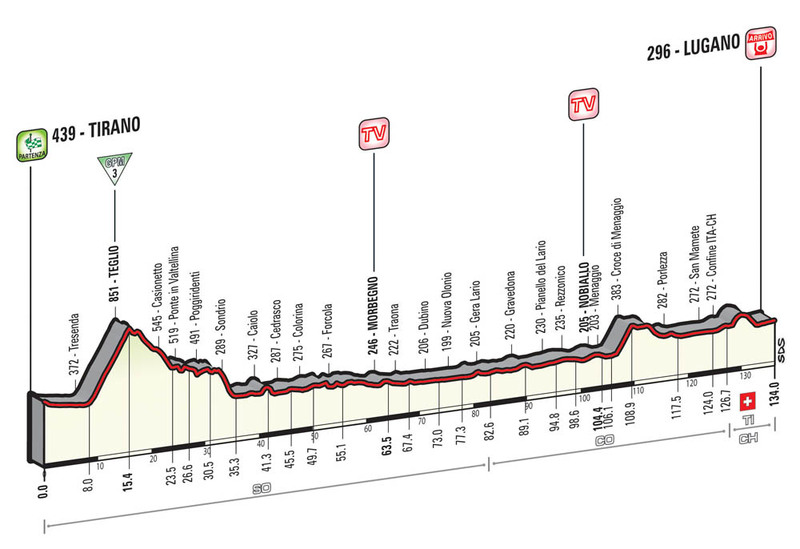 Not that the riders will mind — for those happy with their GC placing, it gets them another day closer to Milan; for those still wishing to move up, it’s a chance to freshen up for the upcoming mountain stages; and for sprinters it looks like one of the most nailed-on bunch finishes of the race.